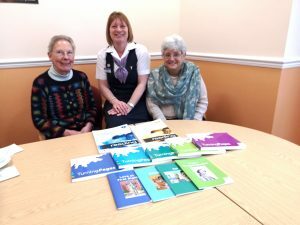 Adults who struggle with reading in Gillingham and Shaftesbury will be getting a new set of books thanks to a donation from a local co-operative. Colleagues at The Co-operative Funeralcare, in Shaftesbury, have been regularly supporting Read Easy Gillingham and Shaftesbury through use of their conference room. 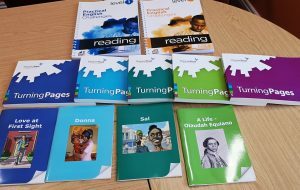 And they were so impressed by the work of the local group that they have also donated £200 to buy a new set of reading manuals. Read Easy is a not-for-profit organisation that recruits, trains and supports volunteers to give free one-to-one help to adults who find reading difficult for any reason. The local project covers Shaftesbury, Gillingham, Wincanton, Sherborne and the surrounding villages. Co-ordinator for the local group, Jenny, said: “It is estimated that one in six adults in the UK struggles, or lacks confidence, with reading. “Read Easy is flexible and confidential to learn at your own pace with a volunteer coach to help. Currently we have twenty four adults enrolled with two more starting soon. The Shaftesbury funeral branch, part of the regional, independent co-operative Southern Co-op, has also inspired their sister branch in Gillingham to provide a meeting point for the group. The donation was made as part of Southern Co-op’s community engagement programme ‘Love Your Neighbourhood’. This initiative addresses four key social themes – promoting greener, healthier, safer, and more inclusive neighbourhoods. To find out more about ‘Love Your Neighbourhood’, visit www.southernco-op.co.uk/makingadifference. To find out more about Read Easy or if you know someone who would like help to read you, contact 07748 977 330 or visit www.readeasy.org.uk.